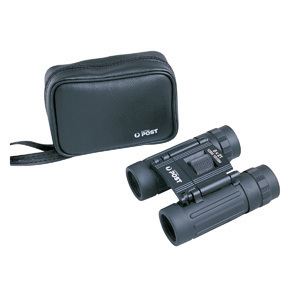 Quality metal binoculars with 8 x 21mm magnification, hard coated lens, quick easy centre focus and adjustable single lens. Binoculars fold neatly into the black leather look pouch with belt attachment, additional neck cord and lens cloth. Supplied in black box.